Sandwiched between tight ends Rob Gronkowski (round two) and Aaron Hernandez (round four) in the 2010 draft was tight end Jimmy Graham. A third-round pick of the Saints, Graham was the last tight end selected before Hernandez. The Saints took Graham with pick number 95, and the Patriots took Hernandez 18 spots later. In between, four receivers were selected — Mardy Gilyard (Rams; no. 99), Mike Williams (Bucs; no. 101); Marcus Easley (Bills; no. 107); Jacoby Ford (Raiders; no. 108). It’s unknown whether the Saints wrestled with the choice of taking Graham or Hernandez. The red flags were well known, and Hernandez’s history easily could have been a factor. But Graham’s limited football career likely was an issue, too. He played only one year at Miami. Hernandez was the far more established and experienced player. Regardless of how the Saints made their decision, they settled on Graham. Of the three tight ends, he’s the only one still laboring under his rookie deal. From Gronkowski’s injuries and surgeries and party-boy tendencies to Hernandez’s legal entanglements, Graham is looking like the best of the bunch. And the Saints need to acknowledge that with a long-term deal. To his credit, Graham hasn’t groused. But if the team and the player can’t work out a multi-year contract, a franchise-tag fracas could be coming over whether Graham is a tight end or a receiver, given the number of times he lines up in the slot. The best way to avoid that outcome would be to get a new agreement negotiated, and the best time to do it would be sooner rather than later. The cap is a problem for now; according to NFLPA records, the Saints currently have roughly $5 million in total space. But with all of their draft picks signed, the Saints wouldn’t have to clear much space to do a long-term deal with Graham, since the signing bonus would be spread over multiple seasons. Graham’s refusal to make a stink, publicly or privately, about his status puts less pressure on the Saints to take care of him. In turn, however, this attitude proves that Graham is far more worthy of the security than Hernandez, and possibly even more worthy than Gronkowski. Although retired Ravens linebacker Ray Lewis was unable to make the climb of Mount Kilimanjaro because of a foot injury and fever, he did his part on the ground. During his visit to Africa, Lewis conducted an impromptu meeting with the President of Tanzania. He gave Jikaya Kilwete a Ravens cap, according to the charity organizations, WorldServe International and TackleKili. Lewis spent over an hour with President Kilwete and received an invitation to return in the future for service. Lewis is in East Africa as part of a philanthropic clean-water project along with former Chicago Bears Pro Bowl defensive tackle Tommie Harris and Doug Pitt, the brother of actor Brad Pitt and a good-will ambassador to Tanzania. Without Lewis, a two-time NFL Defensive Player of the Year, the group completed the climb to the 19,340-foot summitt, the highest in Africa. Lewis and the group provided hearing aids in a nearby village. He also visited an orphanage where World Serve International installed a deep water well operated by solar power. "Water is life," Doug Pitt said in a statement. "More than 4,500 children die every day for want of clean water. We start with water made possible through donations to WorldServe International; from there, everything follows." Lewis spent time with the children at the orphanage, where he exchanged greetings, shared pictures and requested a list of their needs, according to WorldServe. Prior to leaving, Lewis added a handprint in paint on the main wall of a classroom. After realizing he wouldn't be able to make the climb because of his condition, Lewis commented on a video about his support of the people of Africa. "They never think about themselves. They only think about the next day. This group has thought about other people. They put all their pains aside. We came together to make the world a better place. Lets bless people and get to the top of that mountain. Nothing can stop us. All things are possible." Lewis, 38, who retired after winning his second Super Bowl with the Ravens, now works for ESPN as a football analyst. He issued a statement last month about his involvement in the climb. Barstool Bro Show Featuring Greg Olsen Charity Kickball Tournament from Barstool Blackout Tour on Vimeo. As a veteran who was an integral part of the Saints' Super Bowl victory but has seen a decline in performance over the past few years, Jonathan Vilma is No. 23 on my list of the top 25 Saints' for 2013. I'm sure the vast majority of you would put Vilma in your top 15, but his play on the field is just not what it used to be and in most people's minds he isn't even the best inside linebacker on the team anymore. Vilma's leadership is still unquestioned, but leadership only goes so far when your play is regressing. It's difficult to truly evaluate Vilma's 2012 performance since so many variables came into play. Firstly, he didn't even see the field until Week 7 due to the scandal that shall not go unnamed. Second, Sean Payton was not around and Vilma had to come into a defense run by Steve Spagnuolo, an unfamiliar defense coordinator. Lastly, Vilma was playing a lot of outside linebacker instead of the middle linebacker spot he has occupied throughout his career before Curtis Lofton arrived. This last reason also contributes to Vilma's low ranking, as there is a fair amount of uncertainty as to how he will fit in the 3-4 defense. I do think, however, that Vilma's intelligence will allow him to pick up Rob Ryan's complicated schemes quickly. So in my book it's just a matter of if his level of play will be high enough. 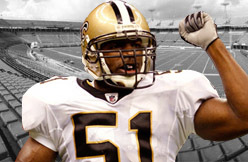 In 2011, Jonathan Vilma was Pro Football Focus's third worst inside linebacker against the run. While it's hard to accurately gauge his performance in 2012 due to the aforementioned reasons, his play against the run seemed to improve in 2012. Coverage has been Vilma's forte, but that aspect of his game has also regressed a bit recently. He will definitely need to improve his tackling, though, as he missed nine tackles on 410 snaps in 2012 in comparison to 5 missed tackles on 657 snaps in 2012. Regardless, it will be interesting to see how he performs in this new scheme and with a chip on his shoulder, to say the least. 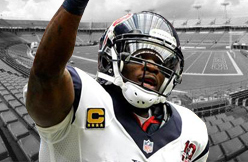 Has Andre Johnson lost a half-step? I don’t care what the Houston Texans wide receiver has lost if he’s producing like he did last season. In a recent column at the National Football Post, Len Pasquarelli wrote of how the Texaqns have worked to restock the receiving corps. Sure they’d like to have the next Johnson before the actual Johnson enters his twilight. But drafting four receivers over the past two seasons hasn’t been primarily about replacing Johnson. It’s been about, as Pasquarelli pointed out, finding an “explosive complement” to him. It will be difficult for Posey to do it this season, as he’s likely not ready until midseason after shredding his Achilles in the playoff loss at New England. Hopkins should be the eventual replacement for Johnson as the No. 1, while the Texans need one of the others to emerge as a No. 2. We talked a year ago about the possibility that Johnson's legs were starting to go as he had multiple issues in 2011. He responded with 112 catches for 1,598 yards -- the second most productive yardage season in the NFL. Johnson’s never had more yards, and has only had more catches once. The Texans were overly reliant on Johnson last season, and need some of the new guys, particularly rookie first-rounder Hopkins, to help change that. As for Johnson's four touchdown catches, I don’t see them as an indicator of some drop-off in play. Rather, they speak to where he caught the ball most of the time. If the Texans are to be a more threatening offense, Johnson has to have chances to score and more balls aimed at him in the end zone. That’s on Gary Kubiak and Schaub more than Johnson. (Four links in four graphs there to previous posts about Johnson and the Texans' passing game. That's a new record I believe. Shall we have a parade)? 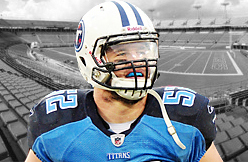 Titans linebacker Colin McCarthy is hosting a free football clinic in Brentwood on Saturday designed for high school football players who want to improve their overall skills training. Several spots still remain open. The clinic will be held at Quest Sports Center in Brentwood from 9 a.m.-5 p.m. and will focus on training high school athletes for college combines. The Mavericks’ summer-league team will convene on Wednesday and first-round draftee Shane Larkin will be working out with the group that will head to Las Vegas Saturday for the NBA Summer League. Larkin, however, likely will not be under contract when he begins working out. Because the Mavericks need to conserve all available salary-cap space, they can’t afford to take care of the formality of signing Larkin to his rookie-scale deal without subtracting it from their available cap space. It’s all about timing for the Mavericks. When it’s right, they will sign Larkin. This is not unusual. He no doubt has insurance to guard against a worst-case scenario. Larkin will be signed as soon as the Mavericks get decisions from their free-agent targets, including Andrew Bynum. Meanwhile, it’s possible that their search for a viable center might move from a free-agent signing to a trade. With cap space to spare, the mavericks can take on money via a trade if a team wants to get off one of their contracts. Omer Asik comes to mind, although Houston has maintained it will not ship out the backup to Dwight Howard. ESPN reported Tuesday that Milwaukee Brewers leftfielder Ryan Braun would not answer questions from Major League Baseball investigators about his connection to the Biogenesis clinic and former operator Tony Bosch and is expected to be suspended along with several other players after the all-star break. A commissioner's office spokesman said the ESPN report was "premature" in saying that a decision had been made to suspend Braun or any player suspected of buying performance-enhancing drugs from Bosch. "We are still in the midst of an active investigation," said spokesman Pat Courtney. "No decisions (on suspensions) have been made." MLB has been in the process of interviewing players whose names were listed on documents from Biogenesis leaked to various news organizations at the start of the year. Braun's name was listed more than once with payments owed Bosch, but Braun has maintained his attorneys merely used Bosch as a consultant for what became a successful appeal of a positive test for elevated testosterone levels in October 2011. Bosch initially supported Braun's consultant claim. But he later agreed to cooperate with the MLB investigation to have litigation against him dropped and could have changed his testimony. Because Bosch might not be considered a credible witness, however, MLB would need solid evidence against Braun to make a suspension stick. Through the Brewers' media relations department, Braun said he would not comment on the latest ESPN report. He was back in the starting lineup against Cincinnati at Miller Park after missing a month with a thumb injury. Braun was interviewed by MLB on June 29 while the Brewers were in Pittsburgh and declined to answer questions relating to Biogenesis and Bosch. In essence, he took the fifth, a decision that had to be supported by his representatives at the meeting. At least one representative from the players' union was present as well, as agreed upon by MLB. ESPN said Commissioner Bud Selig's office is considering 100-game bans for both Braun and New York Yankees third baseman Alex Rodriguez, the punishment for a second offense under the MLB drug policy. Neither player has yet been found guilty of a first offense. The thinking behind a 100-game suspension is that Braun and Rodriguez, and perhaps others, committed multiple offense by buying PEDs, then lying about it. Or, in Braun's case, refusing to answer questions about it. MLB did suspend minor-league pitcher Cesar Carrillo, a former teammate of Braun's at the University of Miami, for 100 games for refusing to cooperate earlier this year with the Biogenesis investigation. Carrillo did not have the protection of the Major League Baseball Players Association and therefore couldn't appeal the penalty. MLB is expected to announce any suspensions from Biogenesis shortly after the all-star break. Players who draw suspensions and appeal them would be allowed to keep playing until a ruling is made by an arbitration panel. Depending on the number of appeals, that process could take several weeks. Under the MLB drug policy, suspensions levied for failed drug tests are supposed to be kept confidential until the appeal process is completed and denied. Because the names of players connected to Biogenesis have been made public, however, MLB intends to announce any suspensions en masse before appeals. Whether MLB would try to suspend Braun merely for refusing to answer questions about the Biogenesis investigation remains to be seen. Because the idea has been floated that MLB has a vendetta against Braun for winning the appeal of his drug test in February 2012, MLB likely would have to produce evidence or testimony that he bought PEDs from Bosch. The "vendetta" notion came after MLB vigorously protested the decision of arbitrator Shayam Das, who ruled in Braun's favor, then later fired Das. Braun was exonerated by Das because of questions about the chain of custody of Braun's urine sample, which MLB officials considered a technicality. Braun repeatedly has denied using PEDs, dating to his appeal of his positive drug test. By declining to answer questions about Biogenesis and Bosch, he and his representatives basically decided not to give MLB anything it could use against him in the investigation. 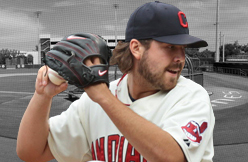 ROCKY RIVER, Ohio -- Indians pitcher Chris Perez and his wife Melanie, both facing misdemeanor drug charges, appeared in Rocky River Municipal Court this morning for a pre-trial conference. The couple came into the courthouse, but did not enter the courtroom, where their lawyers discussed the exchange of evidence with Rocky River Prosecutor Michael O'Shea. They are to appear again Sept. 3. The Perezes arrived at the courthouse before 8:30 a.m. and were whisked away by attorney Gordon Friedman, who represents Melanie Perez, after the couple was confronted by media. The Perezes sought refuge in the waiting area of the courthouse probation department. At one point, they came out into the building lobby where they huddled with Friedman and Chris Perez's attorney Terry Gilbert. Perez declined to speak with reporters. At about 9:30 a.m., Gilbert and Friedman were before Judge Brian Hagan, asking for a continuance. Perez pitched an inning of scoreless relief late Monday night during a rainy Indians loss to the Detroit Tigers at Progressive Field. The Perezes pleaded not guilty last month to drug abuse, a fourth-degree misdemeanor, after an undercover police officer dressed as a mailman delivered to their home two packages that authorities say contained marijuana. The Priority Mail packages, addressed to the Perez family dog and mailed from Los Angeles, were intercepted at the Rocky River Post Office after a supervisor detected a skunky smell coming from them, according to a postal service report on the incident. Postal inspectors opened the packages after obtaining a search warrant. The report states the inspectors found two bags of marijuana totaling more than 9 ounces, with the bags slathered in petroleum jelly and stuffed in plastic containers. After resealing the packages, the undercover police officer delivered them to the Perez home, according to the report. The officer was met by Melanie Perez, who confirmed that Brody Baum lived there, the report states. Brody is the name of the Perez family dog. Baum is Melanie Perez's maiden name. She told the officer the packages were for the dog and to leave them on the porch, according to the report. Melanie Perez and her husband, who was on the disabled list at the time, then went out to lunch and a movie, leaving their two children with a babysitter, according to the report. After returning home, the couple found postal inspectors and detectives from the Westshore Enforcement Bureau and Rocky River police searching their home. A Rocky River police detective wrote in a report that Chis Perez told an officer that marijuana and paraphernalia found in the basement belonged to him. SAN DIEGO -- Padres catcher Yasmani Grandal will need reconstructive surgery to his anterior cruciate ligament that will end his season, an MRI revealed on Monday. It's unclear whether Grandal will be ready for the start of Spring Training, as the normal rehab for this injury usually takes about nine to 12 months. "And everybody's different," said Padres manager Bud Black. Grandal will have the surgery in about two weeks, after the swelling in his knee subsides. He also has damage in his posterior cruciate ligament, but that won't require surgery. The injury occurred on Saturday when the Nationals' Anthony Rendon slid into Grandal's knee on a force play at the plate. The Padres knew it was serious from the start, and the club placed him on the 60-day disabled list on Sunday. Grandal's season ended before it really had a chance to get started. The 24-year old played in just 28 games after serving a 50-game suspension for performance-enhancing testosterone to start the season. He hit .216 with one home run and nine RBIs. The Padres have been hampered by injuries all season long and are already without their starting first baseman (Yonder Alonso), second baseman (Jedd Gyorko) and center fielder Cameron Maybin. 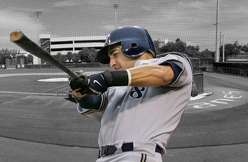 Milwaukee Brewers star Ryan Braun, who has repeatedly denied using performance-enhancing drugs, refused to answer questions during a recent meeting with Major League Baseball about his connection to Tony Bosch and the Biogenesis clinic in Miami, sources told "Outside the Lines." The meeting took place June 29, a source said, and is one of several that MLB has conducted with players connected to the clinic. A source said New York Yankees third baseman Alex Rodriguez has not been interviewed, but a meeting is expected to take place within the week. Commissioner Bud Selig's office is expected to suspend Braun and Rodriguez, along with as many as 20 players sometime after next week's All-Star break, for their roles in the Biogenesis case, several sources told "Outside the Lines." As OTL reported, MLB started building cases against the players last month after Bosch agreed to cooperate with investigators. A source with knowledge of the situation confirmed to ESPNNewYork.com that Rodriguez will meet with MLB on Friday but said the injured slugger likely will refuse to answer questions. The source also told ESPNNewYork.com that 10 players already have met with MLB but have refused to answer questions. Bosch's attorneys have met repeatedly with MLB officials over the past month, turning over numerous documents to substantiate his connection to the players named in company documents, sources have said. While sources would not detail what Bosch has turned over, he was expected to provide phone, text, email and other records. 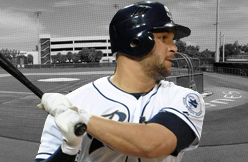 Yonder Alonso (hand) went 0-for-3 on Monday in his first minor league rehab game with Triple-A Tucson. Alonso, out since the end of May with a broken bone in his right hand, played six innings in his return to game action. He'll play again Tuesday before being reevaluated, but Padres manager Bud Black said he could be activated prior to the All-Star break. Because investors want to see growth, much of the talk surrounding Under Armour in the first half of the year focused on areas like women's gear and non-cleat footwear. The company's share of those arenas is still minuscule, its marketing efforts still in nascent stages. But Under Armour knows not to stray too far from the sport -- and the feel -- that helped it grow into a $2 billion a year enterprise. It also knew whose influence it wanted to infuse any new football campaign with: former Ravens linebacker Ray Lewis. He served as executive producer on a new spot called "Ready for August." Under Armour is launching its second "brand holiday" for its "I WILL" campaign this week by releasing a stirring football video showing high school players streaming toward a practice field under the Baltimore skyline (it's a practice field once used by Dunbar, before Under Armour built the school a new facility.) The kids -- players from Dunbar, St. Francis and Gilman -- wear their "I WILL" gear and determined looks on their faces as music beats in the background. The video ends with a linebacker leveling a running back. Just as you'd expect from Lewis. According to a press release, Lewis helped script the concept for the commercial, spent time on set and was involved with editing. "Under Armour was a part of my career on the field," he said, "and even though my playing days are over, having the opportunity to reach young athletes with empowering and positive messages is something I look forward to in the next chapter in my life." Lewis also explained his philosophy for the ad: "You show the pure football scenes, the look on their faces, and that will connect immediately with anyone who has ever played the game." Under Armour's last major preseason football campaign was the Click Clack blitz in 2006. The new ad will debut during the Major League Baseball All-Star game's Home Run Derby next week, but you can get a look above. Be warned: you'll likely try to tackle a co-worker after seeing this. With all the controversy and negativity swirling around the New England Patriots in recent weeks, it's important to keep in mind the positive aspects of the team. In particular, defensive tackle Vince Wilfork has quietly put together a Hall of Fame-caliber career while representing the franchise in an exemplary manner on and off the field. As strange as it sounds, the 6'2" and 325-pound Wilfork has often flown under the radar during his time with the Patriots. About to enter his 10th season with the team, he is now closer to the end of his career than the beginning. Despite his quiet ways, he has set himself up with a good chance at being enshrined in the Pro Football Hall of Fame in Canton, Ohio once his career is over. 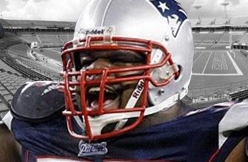 Wilfork was a first-round pick in 2004 out of the University of Miami. He started six games as a rookie but has never come off the bench since. He has also been durable; missing just six total regular season games, and none since 2009. Wilfork's numbers won't blow anyone away. He has totaled 460 tackles, 16 sacks and two interceptions during his nine seasons. He has never had more than 66 tackles or 3.5 sacks in any one season. It must be said that as a defensive lineman a lot of his work won't show up in the stat sheet. He is quite literally at the center of the Patriots' defense; clogging up the middle and typically causing a major disruption to the opposing teams. The true value of Wilfork is the way the big man draws multiple defenders and opens up his teammates to make plays. NESN.com's Luke Hughes marveled how the 31-year-old "is still one of the most dominant interior linemen in football and he demands multiple blockers on nearly every snap." The impactful play of Wilfork may sometimes go unnoticed to the casual observer, but he has racked up five Pro-Bowl and five All-Pro selections during his career. Wilfork is not simply a human mass who takes up space. He has also lined up at end and rushed the passer as needed. His leadership skills, including being co-captain for a number of seasons, have been integral to the team. NFL.com's Adam Schein recently listed Wilfork as one of the 10 most indispensable defensive players in the league. That value is reflected not only in his skill, but also how he has continued to increase his number of snaps played with each passing year. The stellar play of Wilfork has contributed to consistent team success. The Patriots have averaged over 12 wins per year during his nine seasons. 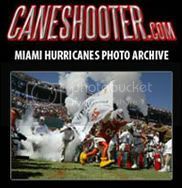 They have also finished first or tied for first every year, while appearing in three Super Bowls, and winning the sport's biggest game in 2004. Wilfork has made an equally large impact off the field. He is heavily involved in charitable work, including supporting diabetes research. He has used his public status to help raise money and bring awareness to various causes by starting his own eponymous foundation. Signed through the 2014 season, Wilfork is primed to continue his run of excellence with the Patriots. Given what he has already accomplished, it's becoming increasingly likely a spot will be waiting for him in the Pro Football Hall of Fame once he finishes his career. The Dallas Mavericks announced their roster for the 2013 NBA summer league Monday, headlined by 2013 draft picks Shane Larkin and Ricky Ledo, who will join returning Mavericks Jae Crowder, Bernard James and Josh Akognon for a five-game slate played in Las Vegas from July 13-22. Dallas will open the preliminary round with back-to-back games against the Sacramento Kings and Charlotte Bobcats on July 13 and 14. The Mavericks will then face the NBA D-League Select Team on July 16 before being seeded in a tournament running through the championship game July 22. Each team is guaranteed to play at least five games. All games will be held at the COX Pavilion and Thomas & Mack Center on the campus of UNLV. NBA TV will broadcast the Mavericks’ matchup with the Kings on July 13 and Dallas’ game against the Bobcats on July 14. Mavericks assistant coach Monte Mathis will serve as the head coach of the summer league team for the fourth year. Before the team makes the trip to Las Vegas, a minicamp will be held at American Airlines Center in Dallas from July 9-12. Apparently Padres Manager Bud Black spoke to all the media at once moments ago, in some sort of press conference. You can tell because Twitter came alive with the results of an MRI on Grandal's knee. The injury was the result of a collision between Anthony Rendon and Yasmani Grandal at home plate. If you missed the game or the play on Saturday you can watch the replay here. It's not one of those disgusting plays where a guy's leg turns inside out or anything. It's safe to watch for those with weak constitutions. 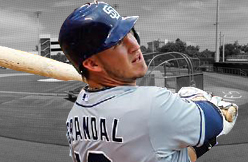 The Padres knew the news was going to bad because they put Grandal on the 60 day DL yesterday. Tests confirmed today that the damage to his ligaments was significant. Once the swelling subsides in several weeks he'll have surgery to repair said ligaments. Recovery is estimated to be about 9-12 months according to Annie Heilbrunn and I assume doctors. If all goes well, the Milwaukee Brewers hope to get Ryan Braun back on the field for their weekend series in Arizona before the all-star break, with a slight chance of playing beforehand. Braun has been on the 15-day disabled list with a right thumb/hand injury since June 10 but took batting practice on the field Saturday for the first time since being sidelined and tolerated swinging the bat. "He is getting pretty close," said manager Ron Roenicke. "He'll be out on the field again (Monday) and the next day. He's got to get his legs under him, too. I know he's in shape and he's doing all these things but just being out on the field, similar to spring training, for three or four hours, your body has to adjust to it. You're going to go through a sore stage. "If we can get him back maybe before the all-star break and let him play in some games, and then use the break to allow him to recoup, that would be ideal. Hopefully, those things will work out." Roenicke said he hadn't heard of any ill effects from Braun's on-field batting practice Saturday, which was a good sign. At this point, the goal is to get him on the field for the Arizona series but probably not all four games and not all nine innings. "I think that's probably a good thing to shoot for," said Roenicke. "I know he probably wants to go before that, but we'll see how it goes tomorrow and the next day. With a day game Wednesday (against the Reds), it kind of makes sense to let him roll over to Arizona." San Diego Padres 1B Yonder Alonso (hand) has been taking batting practice and working on fielding with Triple-A Tucson but is still a day or two days away from playing in a rehab game. The original plan was for Alonso to play for Tucson Wednesday, July 10, and Thursday, July 11, but he would like to push up the timetable a day or two. Alonso would be reevaluated and could rejoin the Padres for their weekend series if the team sticks with its original plan. The Houston Texans chose DeAndre Hopkins in the first round 2 ½ months ago, in large part to provide an explosive complement to Andre Johnson at wide receiver. And the former Clemson star has, coaches acknowledge, been one of the standouts in offseason workouts. “You can really see the obvious (playmaking) skills,” Texans general manager Rick Smith said. But the Texans may need to start looking down the road as well to a future replacement for Johnson, who turns 32 this week. The 10-year veteran still rates among the NFL’s premier wideouts – he started all 16 games in 2012, the first time that has occurred since 2009, and posted 112 catches – and there has been no real discernable drop-off. But some opponents suggest that Johnson has lost perhaps a half-step, and isn’t as explosive. Johnson had only four touchdown catches last season, his fewest since 2002 in a season in which he played at least nine games. So while the bigger emphasis has been on Hopkins, who should provide Houston and quarterback Matt Schaub a quality No. 2 starter, the club has privately allowed there is a need to start developing one of the other young wide receivers as well. Second-year veteran DeVier Posey had some flashes as a rookie in ’12, and fellow youngsters Keshawn Martin and Lestar Jean have promise as well. One of them needs to step up as a viable No. 3, and possible Johnson replacement in a few years. 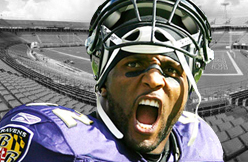 Ray Lewis was unable to climb Mount Kilimanjaro because of a foot injury. Also, Lewis developed a fever the night before the start of Thursday's climb of the tallest free-standing mountain in the world. Lewis, the former Baltimore Ravens linebacker and current ESPN analyst, was in Tanzania to raise money and awareness about the need for clean water in East Africa. "Ray stood all day yesterday doing a hearing mission," trip organizer Frank Gamble said in a video, via The Baltimore Sun, summarizing the climb so far. "Last night, he had a bad night, fevered and really rough. So this morning, when he woke up, the foot was killing him, years of injuries and all of that. So we're going to miss him." Lewis, 38, who spent 17 years in the NFL, retired last season after winning the Super Bowl. He joined Doug Pitt, the brother of actor Brad Pitt, and former Bears defensive tackle Tommie Harris to promote the clean water project in Africa. The day before the climb, Lewis was handing out hearing aides to children in Tanzania. 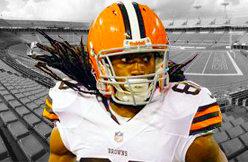 The Browns are expected to start Travis Benjamin at X receiver during Josh Gordon's two-game suspension. Greg Little is the Z receiver, and Davone Bess plays in the slot. Benjamin has sub-4.4 jets and big-play ability, averaging 16.6 yards on 18 receptions as a rookie. He's still unlikely to be a fantasy-viable early-season producer. We wouldn't be surprised if TE Jordan Cameron emerged as Cleveland's leading pass catcher in the first two games, building momentum for a breakout year. 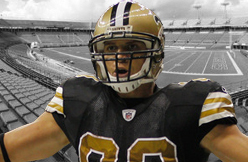 NEW ORLEANS -- Jimmy Graham or Aaron Hernandez? New Orleans Saints officials had their choice of the two collegiate tight ends and other top prospects when it came time to make a selection in the third round of the 2010 NFL draft. Both were available when the Black and Gold went on the clock at No. 95 on the night of April 23. The Saints ended up taking Graham, a four-year basketball player at the University of Miami who caught the eye of Coach Sean Payton and team officials after playing only one season with the Hurricanes' football team. Though Hernandez displayed first-round ability in three productive seasons at Florida, he entered the draft as a high risk/reward prospect and fell to the New England Patriots in the fourth round, 18 picks later. Now we know why. He had issues. Hernandez, 23, is facing a first-degree murder charge and multiple gun charges after being arrested in the shooting death of semipro football player Odin Lloyd. He remains in jail without bond and already has forfeited tens of millions in potential earnings after being dumped by the Patriots. His career appears to be finished at the tender age of 23. Just 26 with plenty of upside, Graham's future is extremely bright. Already considered one of the NFL's top receiving tight ends after three seasons, Graham is entering the last year of a $2.455 million rookie contract that included a signing bonus of $665,140. He is scheduled to make a base salary of $1.323 million this season. Yes, he has outplayed his contract (215 catches, 2,648 yards, 25 TDs) and stands to become a very rich man next offseason if allowed to become an unrestricted free agent. Provided Graham stays on course this season, an educated guess says a deal will be struck before that happens, or, at the very least, team officials will place the franchise tag on him before the start of free agency ensuring he remains in New Orleans in 2014. Lack of production in 2013 obviously could lower his value. A good season would retain his present value. A blockbuster season could elevate him to rarefied air. -- The Patriots signed Hernandez to a five-year, $40 million contract extension in August 2012 that included a $12.5 million signing bonus, the highest signing bonus paid out to an NFL tight end. -- Patriots tight end Rob Gronkowski (the 42nd overall pick in 2010) signed a six-year, $53 million extension months earlier in 2012, the richest contract for a tight end in NFL history. That included $16.5 million in guaranteed money. -- Other high-paid NFL tight ends include San Francisco's Vernon Davis ($23m guaranteed), San Diego's Antonio Gates ($20.4m guaranteed), St. Louis' Jared Cook ($19m guaranteed), Jacksonville's Marcedes Lewis ($19m guaranteed) and Seattle's Zach Miller ($17m guaranteed), among others. So where does Graham fit? When all is said and done, maybe at the top of the tight end heap, $10 million to $12 million annually in Nw Orleans or elsewhere. Time will tell. If Graham continues to be deployed in the Saints' high-octane offense as a wide receiver for a high percentage of snaps this season, don't be surprised if Graham's representative (Jimmy Sexton of CAA) tries to get his client WR-type money and not tight end type money at the bargaining table. For a cap-strapped team like the Saints, the distinction could mean the difference in Graham staying in New Orleans or leaving for greener pastures. The 2013 franchise tag for a tight end was $6m, $10m for a wide receiver. That, too, is a topic for another day. Meantime, Graham will continue to freely chase his NFL dream while Hernandez can only dream of becoming free one day. We know where Graham stood on the Saints' draft board. And while it's unknown where Hernandez stood, Saints officials clearly made the right choice on that April day in 2010, hands down. Or, in the case of Aaron Hernandez' arrested development, hands up. If there's one position on the roster where young players desperately need to step up, it would be defensive tackle. You could make a solid case for a half a dozen others, of course. The Falcons could use youth at defensive end, cornerback and along the offensive line. As I noted yesterday, Jonathan Babineaux, Corey Peters and Peria Jerry are all free agents a year from now. Getting young, cheap players to at least provide depth is critically important. That's why this could be a big season for Micanor Regis, Travian Robertson and Adam Replogle. The three young defensive tackles come into the 2013 season with a real opportunity to carve our major roles this year and in 2014. Robertson in particular can actually push to start next year, given the free agency situation and his intriguing upside. You'll want to watch all three players closely to see what becomes of them. Regis and Replogle will have to push hard to make the roster, or in Replogle's case, the practice squad. If they can prove themselves, the Falcons won't be feeling such a pinch at the position this time next year. Wrestler-turned-actor Dwayne Johnson is hoping to become one of the biggest movie stars when he sets foot on the Hercules set by guzzling 5,000 calories a day to bulk up for the role. The actor has been keeping fans up to date with his food intake on his Twitter account, revealing he's gobbling seven meals a day in a bid to get massive as the great Greek demigod. His meals include a steak, four eggs and oatmeal for breakfast, and a protein supplement and 10 egg whites scrambled with onions, peppers and mushrooms for supper. In between, he'll also chow down on two whole chickens and two identical halibut and rice meals. Kenard Lang is one of those guys who, as the cliché goes, has football in his blood. 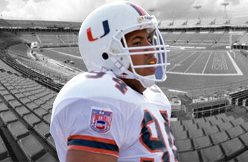 Not only did he play defensive end for the University of Miami, on a defense that included future HOFers like Ray Lewis and Ed Reed, but he also carved out an 11-year career in the NFL. There, he amassed 50 career sacks while playing for the Broncos, Browns and Redskins. Now Lang is a high school football coach in Orlando and for Nike Football Training Camps and Combines. He also devotes a large portion of his time to his foundation, which helps support families and individuals affected by cancer (we strongly encourage you to check it out). Lang was kind enough to speak to TDdaily over the phone earlier this month. Interested in hearing about the University of Miami player who once ripped Ray Lewis’ facemask off of his helmet, or what goes through the mind of a defensive end as he’s about to attack an opposing quarterback? Keep reading and you can find out. TDdaily: So you’re now coaching football at Wekiva High School in Orlando. How’d that come about? Kenard Lang: I’ve always been interested in coaching. In the NFL I was always like the ” team captain” whenever we had like camp or OTAs or anything like that. A lot of times I was in charge of talking to the rookies and teaching them what to do and how to play. From that point on I knew that if my NFL coaches could trust me to talk to and teach the rookies, well then, I had the ability to work with high school kids as well. TD: Who are some younger players you worked with in the NFL? KL: Elvis Dumervil was one guy I worked with a lot in Denver when I was in Denver. When he came in, coach kind of put me in charge of working with him and talking to him and teaching him. I talked to him about like different techniques, how to play, and the philosophy of being a professional football player. I would also help translate things the coaches would say. KL:I guess as far as like downs and distance. He might have some pass rush move that might work, but some might take longer than others, so, for example, say it’s like a spin move and you’re a defensive end. The only time that spin move will work on a quarterback is if he’s in a seven-step drop and not a three-step one. So in a three-step drop, you’re better off using something like a quick power rip. That’s some of the kind of stuff I would talk to him, and other young guys about. Things like understanding down and distance. TD: If the pass rush move you plan on using something decided before the play, or is it more instinctual? TD: You played on some terrible teams in the NFL, like the Cleveland Browns. This might be a silly question, but how hard was that? How much does that wear on you? KL: In football it’s almost like a double-edged sword. Everything you do is for the team and about the team, and a team is what wins or loses. But you also have to make sure you take care of your job. You don’t really have to be selfish you just have to make sure you take care of your part. But when you start losing, that’s when the professional side comes out of you. So even if you know this team isn’t going to win, you have a contract you have to abide by and you have to go out there and perform to your fullest. You know, that’s your job. TD: You played for a lot of big-name coaches. Who was you favorite to play for? KL: I would probably say my favorite coach I played for was Marty Schottenheimer. I also loved playing for Romeo Crennel. I’d have to throw in Butch Davis, too. Those three. TD: I’m surprised to hear you say Romeo Crennel since he really wasn’t so successful. KL: I just enjoyed playing for him. I enjoyed his coaching philosophy and mind set. TD: Which is or was? KL: All of them are different. Marty Schottenheimer was more of the philosopher. He dealt a lot with the big picture. For example, of the things I remember to this day that he would say is “Before you make a decision you control it, but once you make it—it controls you.” And what he meant by that is a lot of people can deal with the decisions they make, but the problem is they probably can’t deal with the consequences that comes with those decisions. If you can’t deal with the consequence then don’t make that decision. 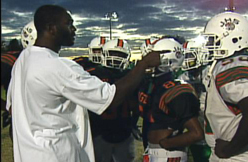 TD: You played for some great, and interesting, University of Miami teams. What was that experience like? KL: I loved it. 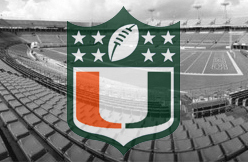 The University of Miami changed the whole game of college football, and I think professional football too. The whole idea of a 4-3 defense with athletic defensive ends and Mike linebackers who could run sideline to sideline. Just look at the guys who were on that defense—they all are the standard and who new guys get compared to when talking about greatness at their positions. Warren Sapp changed the way the “Three-Technique” was played. Ray Lewis is the guy at middle linebacker. Ed Reed at safety. Our teams were full of Hall of Famers. TD: What are your favorite stories from your days at The U? KL: For me, Two memories come to mind. One is when we lost to Nebraska my freshman year in the National Championship game. We had that game won and let it slip away. The second one is when we played Florida State on ESPN on Saturday night in 1994. That game was probably the most exiting, lively game I’ve ever played in, and that includes my NFL days. It was just an awesome atmosphere. It was unbelievable. There’s nothing like playing in the Orange Bowl. TD: Those teams were known for having a bunch of crazy guys. Who was the craziest teammate you ever had? KL: KC Jones, our center. He was unstable but you loved him anyway. He was one of those guys you loved to play with and hated to play against. One time we had a scrimmage and he and Ray Lewis got into a fight. KC pulled the facemask off Ray’s helmet. As Patriots fans descended on the ProShop adjacent to Gillette Stadium Saturday, their Aaron Hernandez jerseys were folded neatly, crumpled up in a ball, wedged under their arms or stuffed into a bag — and then handed over to be destroyed or recycled. "I just did not want to be wearing it," said Scott Richman of Sharon, Mass. "I think it is the right thing to do," said Randy Medeiros of New Bedford. The Patriots figured that would be the sentiment. The team had disassociated itself from Hernandez by releasing him shortly after he was arrested on murder and gun charges June 26. Next, this weekend's jersey exchange was scheduled, giving fans an opportunity to do the same. The first fan arrived Saturday at 7:30 a.m., 2 1/2 hours before the exchange was to begin at 10. At 9:30, the Patriots decided to open the ProShop a half-hour early because a long line had formed around a tent set up for jersey collection. By 11, 500 exchanges had taken place, and there was a slow but steady stream of fans throughout the afternoon. In total, approximately 1,200 jerseys were traded. The exchange continues Sunday from 10 a.m. to 7 p.m. Jerseys of the brand and style that were available at the ProShop during Hernandez's three years with the team can be turned in for a voucher that guarantees a jersey of comparable value. This event further highlighted the fall from grace for Hernandez, the star tight end from Bristol who is charged in the shooting death of Odin Lloyd and is being held in jail without bail. It also elicited conflicting feelings from Patriots fans, who had cheered him just across the Patriot Place complex at the 68,000-seat stadium. "I feel thankful to the Patriots," said Jake Mozer of Medfield. "It's all really sad. It's really kind of depressing. He was my favorite player. I had no idea what I was going to do with [the jersey]." Patriots spokesman Stacey James said the Hernandez jerseys that were to be exchanged Saturday and Sunday, as well as the ones the ProShop already had in stock, will be recycled or destroyed. 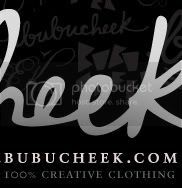 The team has ruled out donating them to a foreign charity and is trying to find a vendor with "a creative way, from recycling purposes, to utilize the materials and fabric," James said. The Patriots said the most popular requests among those exchanging Hernandez jerseys Saturday were, in order, Vince Wilfork, Tom Brady, Chandler Jones and Stevan Ridley. "You don't want to be associated anymore with a player of Hernandez's stature," Medeiros said. "It's the right thing to do — exchange the jersey and wear the jersey of a player you can actually admire on and off the field. Fans have a pretty personal attachment to these players." Medeiros exchanged his girlfriend's Hernandez jersey for a Danny Amendola jersey. Another fan, Mike McAtamney of Lowell, was out of luck. His Hernandez jersey was not purchased at the ProShop and did not match the style of what was available in 2010-12, so it could not be exchanged. "I don't know, maybe cut some patches out of it," he said. "Or, I heard they're selling on eBay, too." Hernandez jerseys are selling for $400 online and autographed jerseys have been sold for over $1,000. On Saturday, hundreds of them were tossed into a bin, never to be worn again. The Patriots are likely to release a final estimate on Sunday of the number of jerseys exchanged. Of the first 1,200, about 300 were children's jerseys. The Patriots had young fans in mind when they planned the event. In the initial press release, James said, "We know that children love wearing their Patriots jerseys, but may not understand why parents don't want them wearing their Hernandez jerseys anymore. We hope this opportunity to exchange those jerseys at the Patriots ProShop for another player's jersey will be well received by parents." The time to proudly wear a Hernandez jersey "has disappeared," said Matt Singer of Natick, "but this seems like a pretty good deal — especially when you see the little kids." Candace Boudreau of Cranston, R.I., was with her three children, Mackenzie, 8; Christian, 5; and Trevor, 2. "I will not wear the jersey of somebody who has been [charged with] a crime," she said. "I just bought it [recently], and it's a shame to waste that money. … I don't want [the children] to know anything about it, so I just wanted to exchange it for somebody who is better." Exchange choices were limited to what was available in the style the person had the proper voucher for, and size. Mozer selected a Jones jersey. "He's good, he's young and I don't think he's committed a crime," Mozer said. Shane Larkin has been a Dallas Maverick for exactly one week, and though he has not yet stepped on the court, he already showed his new employer flashes of the self-confidence, maturity and insatiable hunger that have helped him compensate for his lack of height his entire career. He made his first bold statement by showing up at the draft ceremony in a turquoise polka-dotted bow tie. 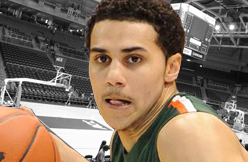 The 5-11 former University of Miami point guard, who was selected No. 18 in the draft last Thursday, then told reporters on a conference call that although he realizes he may have to play behind a seasoned veteran and “learn the ropes,” his goals include making the league All-Rookie team and earning a starting job. He also displayed his take-charge attitude by offering to be “the leading spokesman for the Dwight (Howard)-to-Dallas campaign.” Larkin was a fan of Howard’s growing up in Orlando, and said it would be dream come true to play alongside one of his boyhood idols and Dirk Nowitzki. Skeptics say Larkin’s size make him a likely backup. He, as always, is aiming higher. “I mean, based on my size coming out of high school, they said I couldn’t play D-I basketball,” Larkin said. “I couldn’t play basketball in high school, I definitely couldn’t play in the ACC, I wasn’t going to be successful, all this type of stuff, and I’ve never let any of that make me feel less confident about my abilities and never really let it get to me. The Mavs are revamping their point guard rotation and looking to go back to the pick-and-roll success they had during their 2011 NBA Championship run. Coach Rick Carlisle and president of basketball operations Donnie Nelson see Larkin as a J.J. Berea-type player, an undersized speedy guard who can create and shoot off the dribble, get to the rim, and get other guys involved. They did not re-sign last season’s point guards Darren Collison and Rodrigue Beaubois, letting them go as unrestricted free agents. They got Larkin through the draft, and on Tuesday signed 6-3 Israeli Gal Mekel to a guaranteed three-year deal. Dallas is said to be shopping for a veteran starting point guard. In the meantime, Larkin and Mekel will compete for playing time. Mekel, a 25-year-old who played two years at Wichita State, averaged 13.3 points and 5.4 assists last season for Maccabi Haifa and led the team to the Israel Super League title. He improved his game under Haifa coach Brad Greenberg, the former Philadelphia 76ers general manager and Portland director of player personnel. Larkin welcomes the competition, is eager to report to training camp this weekend and play in the NBA Summer League in Las Vegas July 12-22. His immediate goal is to learn and earn playing time. Playing in the ACC and winning the conference tournament gives Larkin the confidence to compete against NBA players, he said. Carlisle and Nelson have high hopes. The Chicago White Sox promoted Triple-A Charlotte All-Star catcher Josh Phegley on Friday in a series of transactions. The promotion of Phegley, 24, who was batting .316 with 15 home runs and 41 RBIs in 61 games with the Knights, puts starter Tyler Flowers on notice. Backup catcher Hector Gimenez was designated for assignment. Gimenez batted .191 in 68 at-bats, and the Sox have 10 days to trade, waive or outright him. Jemile Weeks has been all over the place. 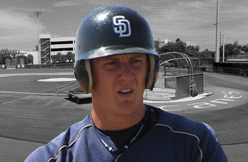 After being drafted by the Oakland A’s in the first round (12th overall) of the 2008 First-Year Player Draft, he spent the remainder of that season at Oakland’s class-A affiliate. In 2009, he spent half of the season with the single-A team, the Stockton Ports, and the other half with the double-A Midland RockHounds. 2010 found him with the Arizona rookie league before returning to Midland and, after beginning 2011 with the triple-A Sacramento River Cats, Weeks found himself playing 97 games in Oakland, establishing a fan base that even now, two years later, is going strong. While in the big leagues, he hit .303, stole 22 bases, and was named the American League Rookie of the Month for June. In 2012, Weeks spent almost the entire season of the major league roster, but struggled, hitting just .221 with 15 doubles, 20 RBIs, and 16 stolen bases. And he’s spent the entire 2013 season in Sacramento, so far. He’s played second base, been the designated hitter, and, in the last week, moved into center field – a move that he’s embraced. Even though he’s been DHing for the River Cats, Weeks prefers fielding and is anxious to contribute defensively to the team. And despite a slow start, he’s starting to find his rhythm at the plate and make an offensive impact as well. He hit .317 in April, dipped down to .214 in May, but has climbed back up to .267 on the season. Weeks knows that he has to constantly work to get better, and he’s up to the task. But he’s not just focused on improving in the batter’s box – Weeks recognizes that to make it to the big leagues, he’s got to be exceptional on both sides of the plate. Weeks says that he learned a lot in his time in the majors, about being an everyday big-league ball player. And even though he has yet to spend a full season in Oakland, Weeks made a big impact on the fans, quickly becoming a favorite player. Knowing there are countless Weeks jerseys in the stands, countless fans pulling for him to make his return to the big leagues, means a lot to the 26-year-old. 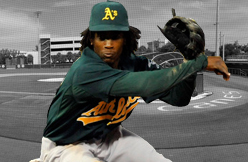 Here’s to hoping we’ll see you in an Athletics jersey soon, Jemile. WASHINGTON (AP) - The San Diego Padres have placed catcher Yasmani Grandal on the 60-day disabled list with a sprained right knee, and selected catcher Rene Rivera from Triple-A Tucson. Grandal was injured Saturday in the third inning of the Padres' 5-4 loss to the Washington Nationals when Anthony Rendon slid into Grandal's right leg at the plate, twisting the catcher's knee. Grandal fell to the ground, but held on for the forceout before being assisted off the field. Grandal was hitting .216 with one homer and nine RBIs in 28 games since being reinstated from the restricted list on May 28. He missed 50 games while serving a suspension for a positive testosterone test. Rivera, who last played in the majors in 2011 for Minnesota, was active Sunday against the Nationals. Milwaukee Brewers left fielder Ryan Braun is hoping to return to the lineup on Thurday, MLB.com reported Sunday. Braun’s optimism was bolstered with a good batting practice session on Saturday. He has been on the disabled list since June 14 because of nerve inflammation between his right thumb and forefinger. The Thursday return hinges on how batting-practice sessions go the next few days. The Brewers begin a four-game series with the Arizona Diamondbacks on Thursday heading into the All-Star break. Roenicke indicated that Braun, who said he was feeling good after Saturday’s BP, would ease back into the lineup. In 57 games this season, Braun is batting .304 with nine home runs and 36 RBIs.